It's okay to be slightly suspicious of this brewmaster because this isn't beer--it's beer soap! The first time I made this soap I thought the whole booze-in-soap thing was a gimmick. I was shockingly pleased to learn otherwise. 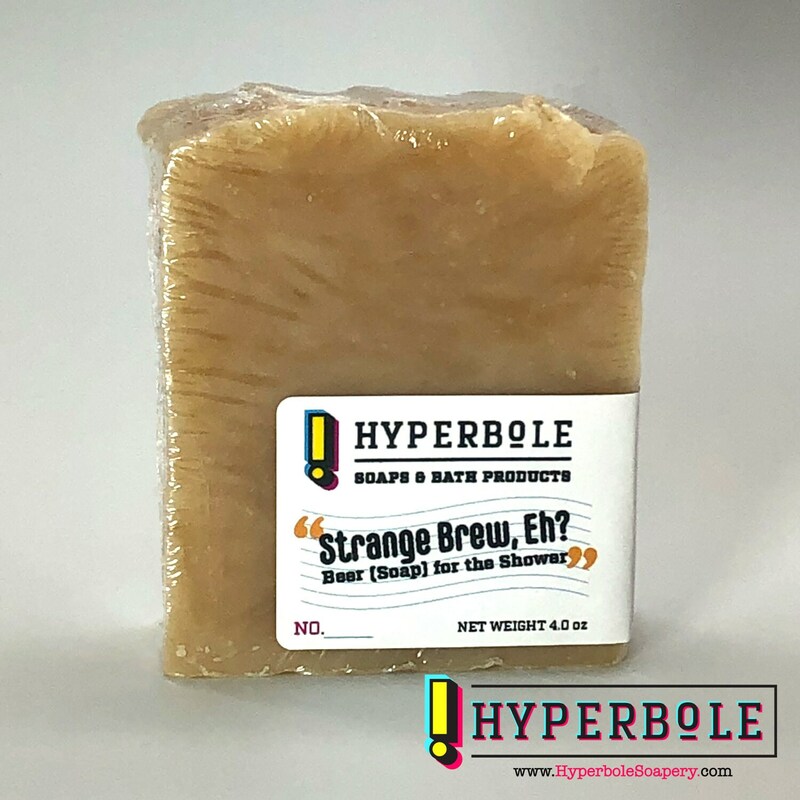 Beer soap naturally produces a fluffier, creamy lather, it's crazy moisturizing, and it loves your skin maybe more than any other soap I've used. It's malty with traces of warm vanilla from the beer, and just a hint of cedar leather undertones. The beer lovers in your life will love this, and so will you! And yes, this soap references the 80s classic Strange Brew. Enjoy! NOTE: All of our soaps are hand made in small batches. The images are for reference of our product and there may be a slight variation in color. Handmade soaps will last for a long time if they are kept dry in between uses. Please allow your soap to drain properly between use so that it remains the Best. Soap. Ever. (Probably). Our palm oil supplier is a member of the Roundtable on Sustainable Palm Oil (RSPO), an organization that supports sustainable palm oil production.